Kelly Thomas supporters sign a memory support book soon after hearing the jury’s verdict that two former Fullerton police officers were not guilty in the homeless man’s 2011 death. By Tim Worden. Published Jan. 13, 2014 at 4:15 p.m. Updated Jan. 14, 2014 at 8 a.m. In an emotional show of support, Ron Thomas, father of Kelly Thomas, spoke to a crowd of more than 100 supporters Monday night saying that he will bring justice to Kelly, a homeless man who was killed in a 2011 police confrontation that has rippled through the city of Fullerton for two and a half years. 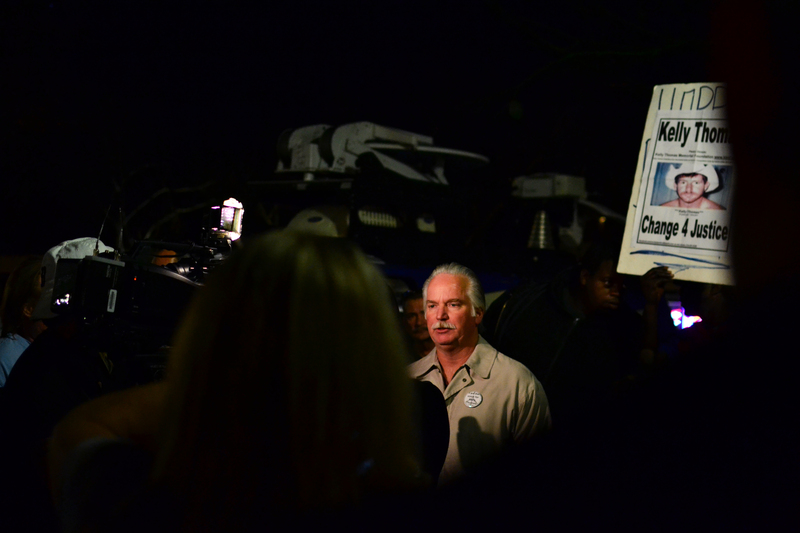 While speaking to the crowd, Ron Thomas, wearing a pin that read, “I am the voice for Kelly Thomas,” said he will pursue other means of bringing justice to his son, such as seeking to change the California peace officers’ bill of rights. “I want to change things,” Thomas said. The gathering was sparked by a jury’s verdict Thursday afternoon that former Fullerton police officers Manuel Ramos and Jay Cincinelli are not guilty on all counts in the 2011 death of homeless man Kelly Thomas. The counts ranged from excessive force to involuntary manslaughter and 2nd degree murder. 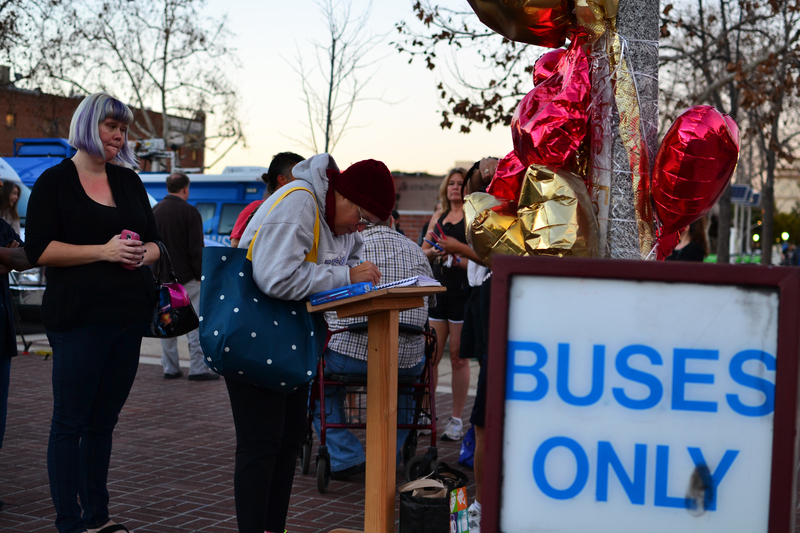 Supporters, who began trickling in to the makeshift Kelly Thomas memorial shortly after the verdict was reached on Monday afternoon, quickly set up a podium with a Kelly Thomas guestbook for people to write down their support. One supporter carved “Kelly” into the sidewalk with wax from a candle. Members of the media record a supporter talking. Orange County District Attorney Tony Rackauckas, Orange County’s highest attorney, personally served as the prosecutor alleging that Ramos and Cincinelli acted beyond their authority in the encounter. Defense attorney John Barnett at the conclusion of the arguments phase of the trial said that the two officers acted by the book and according to their training in their encounter with Thomas. “They did as they were taught, they did as they were told,” Barnett said. 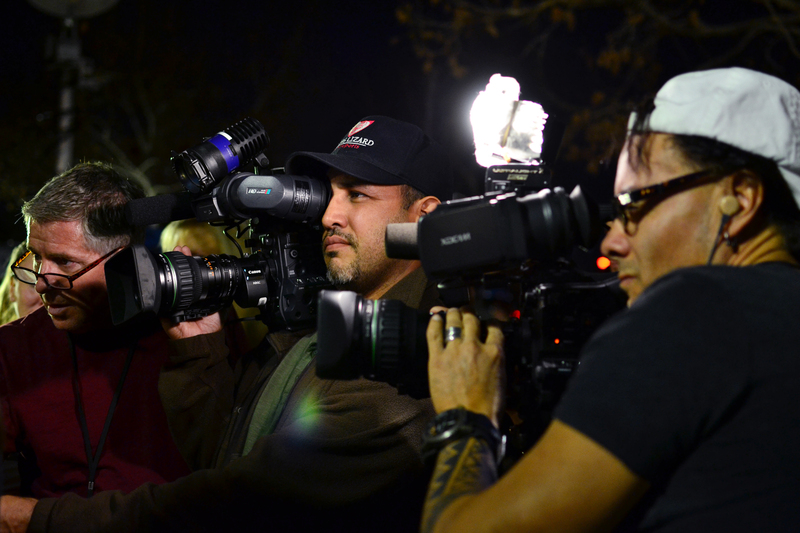 Ron Thomas, father of Kelly Thomas, speaks to the media in downtown Fullerton on Monday night. This case deserves all the attention it’s getting. If anything demonstrates “criminal justice”, this is it.